Have you ever been preparing for a trip and wanted to record a podcast, but didn't want to drag along your entire podcasting equipment arsenal? So have I. Well enter the iRig PRE, a great little device from IK Multimedia which allows you to record audio on the go. The iRig PRE is a microphone interface for your XLR mics which plugs directly into your smartphone or tablet. The device is compatible with iOS and Android and when used along with the iRig Recorder application for your smart device you can capture some really fantastic audio. 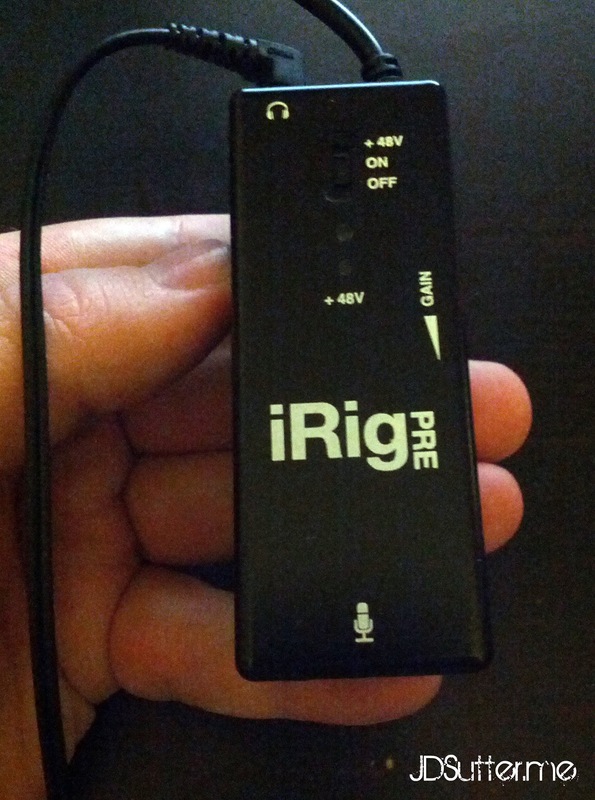 The iRig PRE comes equipped with a headphone jack for monitoring your audio. It also has a gain control so you can adjust the input levels. The PRE provides phantom power by one 9 volt battery so you can use it with condenser microphones as well as dynamic. 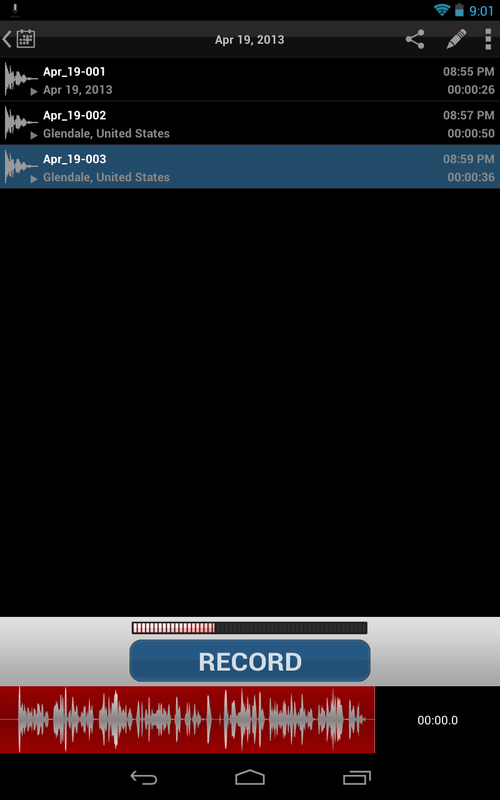 I tested the PRE with my Nexus 7 Android tablet and my Samsung Galaxy Nexus smartphone using the iRig Recorder application. I also ran tests with different mics, the Shure SM58 dynamic mic and the Audio-Technica AT2020 condenser mic. The following are some audio samples of my results. These files have not been processed in any way other than conversion from WAV to mp3. I also tested recording with the Catch Notes app and the Google Keep app to confirm that the iRig PRE does not require the iRig Recorder app. The audio quality resulting from those two apps was less than desirable, but it did work. It seems that for the best results you should use either the official iRig app or another dedicated audio recording application. This is a great tool that is worth looking into if you'd like to be able to record a full podcast or even just interviews at an event using a professional XLR microphone. The iRig PRE runs between $35 and $40 on Amazon. The iRig Recorder app for iOS comes in two flavors; the free version which has only basic features and the $8 full version which has lots of editing features. The Android app is free but it only allows you to record; if you want editing features you can unlock those with in app purchases. For full specs on the iRig PRE you can visit IK Multimedia's website. If you decide to try out the iRig PRE or the Recorder app, please leave your thoughts in the comments below. I'd love to hear your experience.